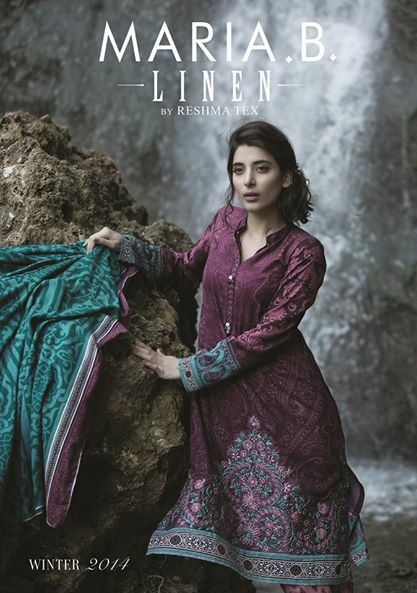 Pakistani Model Urwa Hocane Latest Pictures Images for Maria B Winter Linen 2015 dresses collection. Long shirts with wool shawl for girls wear. Model Urwa Hocane dresses modeling pictures very stylish.